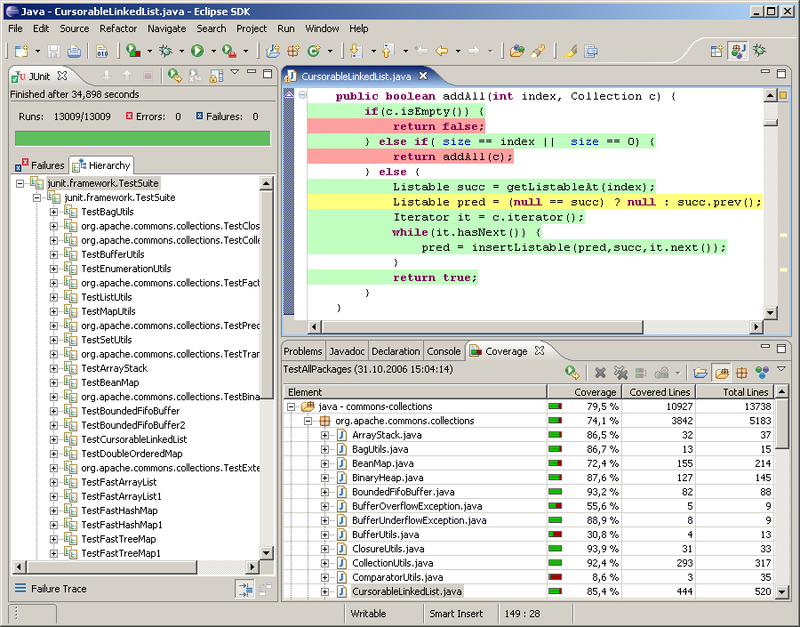 EclEmma adds a so called launch mode to the Eclipse workbench. Called Coverage mode and works exactly like the existing Run and Debug modes. Create coverage overview: The Coverage view lists coverage summaries for your Java projects, allowing drill-down to method level. 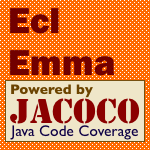 EclEmma requires Eclipse 3.5 or higher and Java 1.5 or higher. It has no dependencies on a particular operating system. Of course your Eclipse installation needs to contain the Java development tools (JDT) which is included in the default SDK installation. Since Eclipse 3.6 the Eclipse Marketplace Client allows direct installation of EclEmma from within Eclipse. Follow the steps below or drag and drop the button above into a running Indigo workspace. 1. From your Eclipse menu select Help → Eclipse Marketplace. 3. Hit Install for the entry "EclEmma Java Code Coverage". 4. Follow the steps in the installation wizard. EclEmma ships as a small set of Eclipse plug-ins under the Eclipse Public License. The overall size of the seven plug-ins is about 1 MByte. Like for all standard Eclipse plug-ins there are different installation options. Using the marketplace or update site is the recommended procedure.